We present a quantitative study on the performance of cadmium zinc telluride (CZT), thallium-doped sodium iodide (NaI(Tl)) and germanium (Ge) detectors as potential Compton camera absorbers. The GEANT4 toolkit was used to model the performance of these materials over the nuclear medicine energy range. CZT and Ge demonstrate the highest and lowest efficiencies respectively. Although the best spatial resolution was attained for Ge, its lowest ratio of single photoelectric to multiple interactions suggests that it is most prone to inter-pixel cross-talk. In contrast, CZT, which demonstrates the least positioning error due to multiple interactions, has a comparable spatial resolution with Ge. Therefore, we modelled a Compton camera system based on silicon (Si) and CZT as the scatterer and absorber respectively. The effects of the detector parameters of our proposed system on image resolution were evaluated and our results show good agreement with previous studies. Interestingly, spatial resolution which accounted for the least image degradation at 140.5 keV became the dominant degrading factor at 511 keV, indicating that the absorber parameters play some key roles at higher energies. The results of this study have validated the predictions by An et al. which state that the use of a higher energy gamma source together with reduction of the absorber segmentation to sub-millimetre could achieve the image resolution of 5 mm required in medical imaging. 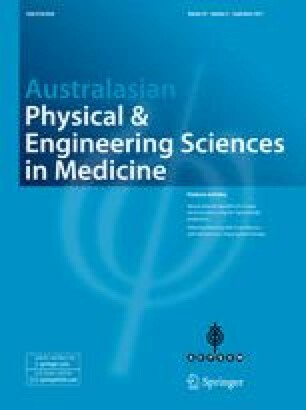 The authors thank Australasian College of Physical Scientists and Engineers in Medicine (ACPSEM) for the award of travel grant in support of this work.